As a volunteer-based sail training organisation we depend on the dedication and commitment of so many volunteers, afloat and shore side, to run voyages and to assist in the running of all aspects of the organisation. 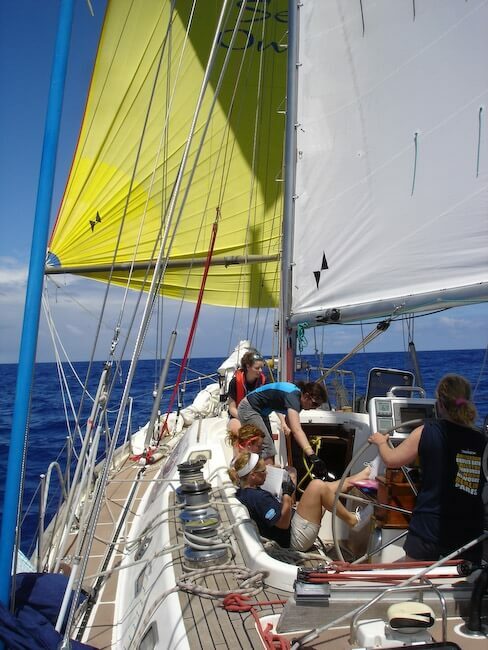 We are also very fortunate to be able to count on the support of so many generous donors, allowing us to offer the often life-changing sail training experience to so many young people and vulnerable adults. In 2018 and 2019 we received financial support from the Viscount Amory Trust, The Searle Charitable Trust, The Association of Sail Training Organisations (ASTO) and from our volunteers. We also received very generous support from the Royal Thames Yacht Club Charity (RTYC), Trinity House Charitable Trust and The Vigilant Trust as well as from private donors. We count the Leathersellers, Haberdashers and the Girdlers Livery Companies as continued and valued supporters. We are extremely grateful for their support and for the endorsement of the valuable work we do. If your trust or company would like to work with the Rona Sailing Project we’d love to hear from you. Please contact Bríd on 01489 885098 or email brid@ronasailingproject.org.uk. Every year one of our three sail training vessels gets an extensive refit. This year it is the turn of the Sail Training Vessel. Donald Searle, who will receive new masts and rigging and a full repaint to superyacht finish which coincides with her 40 year anniversary. This paint job is one of the most extensive we have ever undertaken at the Rona Sailing Project. Without the support of the following sponsors, it would not have been possible and we would like to extend our sincere thanks to them for their in-kind donations of supplies, resources, material and expertise. We would like to extend special thanks to Tim, Gareth and Dean at AkzoNobel for planning, coordinating and undertaking the work.